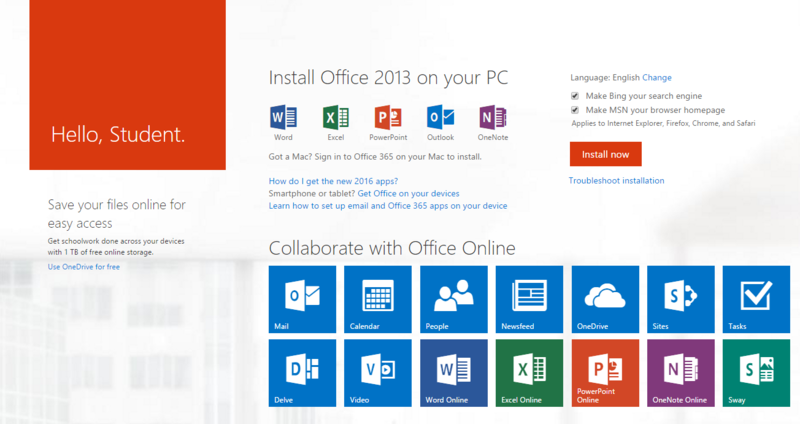 Office 2013 and Office 2016 are both available for free to staff and students. Further, you can install the software on up to 5 different computers in your home. 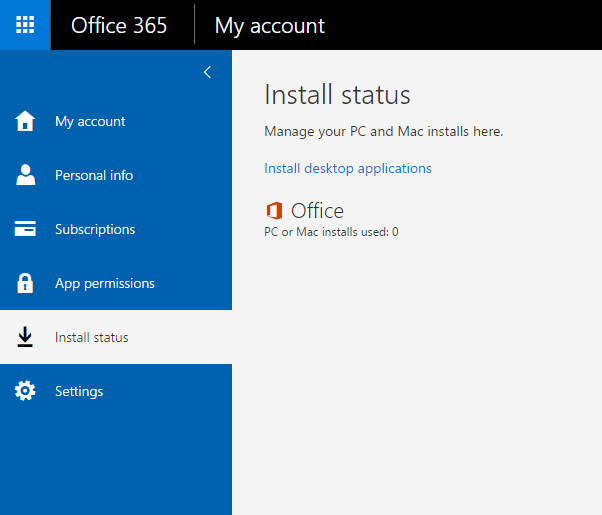 Login to Office 365 to access the install files. Your username is your full email address. Your password is your normal network password or the same password that you use to logon to your computer. 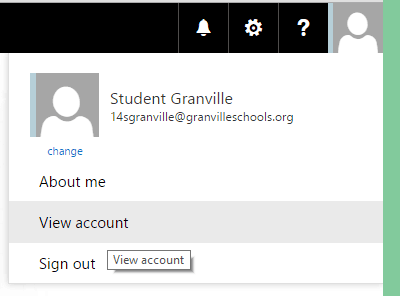 You will see a screen like below if this is the first time you have logged in. From this screen you can follow the prompts for the Office Apps. If this screen is not present then look in the top right, click on the drop down next to your name and select "View Account"
From this screen click on install status. 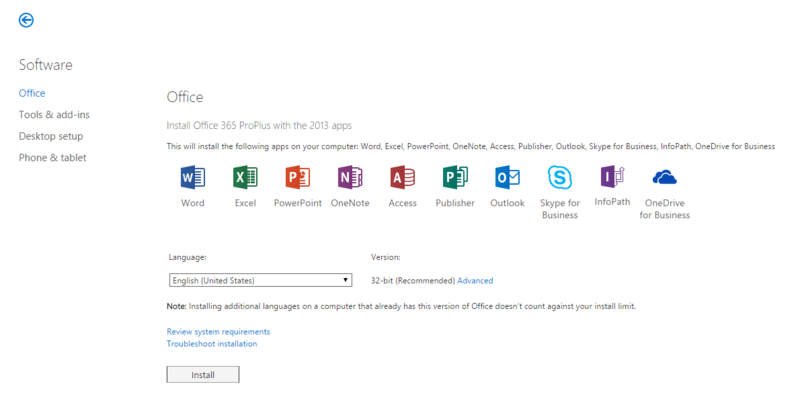 The following screen will guide you through installing Office 2013 or Office 2016 on your computer. Remember that you can install this software on up to 5 computers in your home.